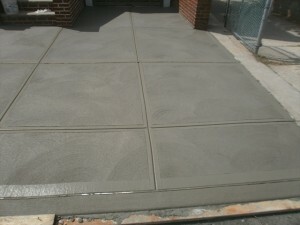 Advanced Site Contractors is a premier provider of concrete services in metropolitan NYC (Staten Island, Brooklyn and Manhattan), as well as in Central and Northern, NJ. For over 25 years, we have been providing residential and commercial concrete services that are as varied as the projects that our customers desire. Concrete offers benefits that are far beyond structural in nature. In addition to being a mainstay in the construction industry due to its strength, durability and low maintenance requirements, concrete is also a highly sought-after replacement for other types of aesthetic finishes due to its versatility and cost effectiveness. In fact, concrete finishes can simulate the look of almost any surface for a lot less, and the material has the unique ability to cover just about any surface so that exterior designs can be carried seamlessly from one area to another with ease. In addition to traditional uses for concrete, new concrete technologies allow for the creation of exceptional finishes that mimic the look of other more costly finishes. For example, decorative concrete pavers are a durable and cost effective alternative to natural brick and stone, providing a variety of design choices. In addition to installing concrete, our concrete contractors also provide concrete repair services, such as patching of cracks, and concrete resurfacing. Versatility – Concrete can cover just about any surface, allowing your design to carry through from steps and walkways to driveways. Weatherproof – Concrete stands up to any weather condition. Durable and low maintenance – Concrete installations last for years and require little to no maintenance, unlike other outdoor finishes that may require staining or sealing each year. Ease of use – Concrete can be used in tight spaces (like flower beds and walkways). Decorative – Concrete can be designed to suit many applications and styles. Low cost – Concrete products can simulate other finishes for less. Increased property values – Exterior concrete designs can improve curb appeal and increase property values. Environmentally friendly – Concrete reduces the use of lumber and lowers chemical solvent-based maintenance issues. Advanced Site Contractors is recognized as one of the area’s top concrete designers. We offer concrete solutions for residential and commercial applications that are built upon extensive experience utilizing the newest and most specialized concrete products and techniques that provide durable, weatherproof, low maintenance, cost-effective and beautiful concrete finishes that last. For more information about our residential and commercial concrete services in Staten Island, Brooklyn, Manhattan, Northern NJ or Central NJ, call us today at (718) 984-7483. If you prefer, you can contact us by filling out the form on the side of this page and we will get back to you.